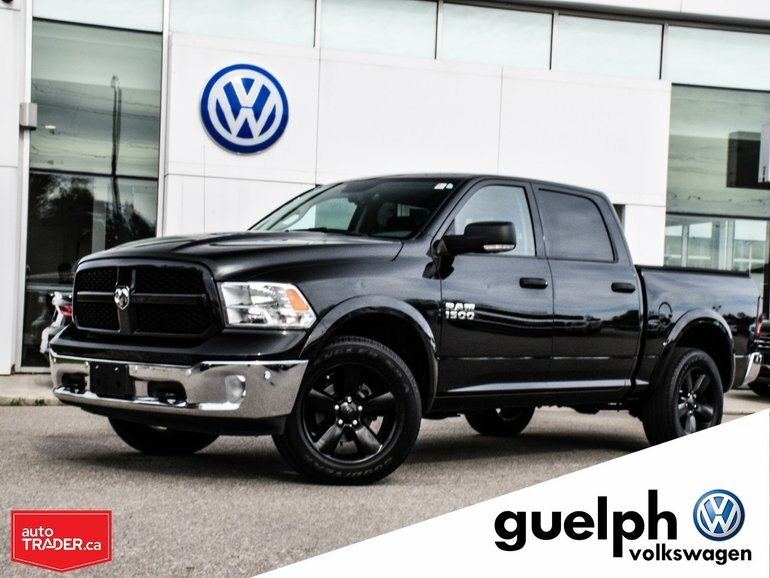 Sleek and Stealthy don’t normally describe a Pickup truck but this Ram 1500 SLT Outdoorsman With Gloss Black Paint and Satin Black 20” Wheels really gives you that great sporty appearance with all the utility of a crew cab 1500 truck! Finished with the ultra-reliable and fuel efficient 3.6L V6 Engine, Heated Front Seats, Heated Steering wheel, Cloth Seats, Touch Screen, Back-up camera and Proximity Sensors front and rear this Ram Outdoorsman needs to be in your driveway! Interested by the 2016 Ram 1500 SLT Outdoorsman ?